These products were sent by CoverGirl for consideration. All opinions are my own. 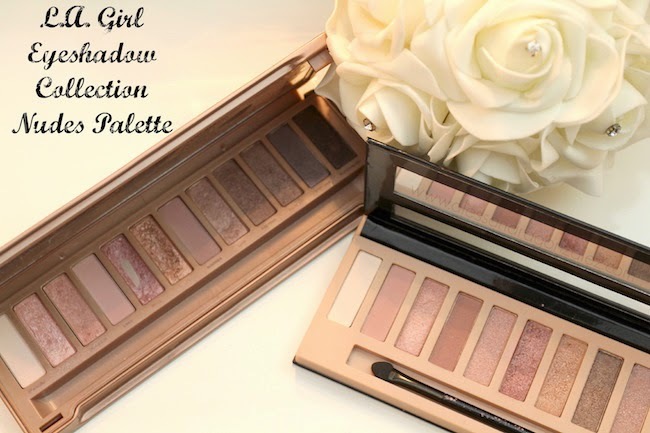 What's better than having affordable and pigmented eyeshadow palettes? Well, that these palettes be Cruelty Free. A few months ago, COVERGIRL announced that they became a 100% Cruelty Free brand. At the same time, they also released their new Full Spectrum line with new products such as eyeshadows, concealers, powders, and foundation. The eyeshadow products in this Full Spectrum line consist of 4 palettes with eight eyeshadows that have colors for all personalities. The price of each is $13.49 and they are easily found at many drugstores, Walmart, Target, Ulta, and more. The eyeshadow quality on these palettes is awesome. The shadows are highly pigmented. They are a bit powdery; however, the pigment you get is worth it 100%. My two favorite palettes from this collection are Zodiac and Posh. My least favorite is Gravity; however, that may be because I don't really wear dark shades. Gravity's shadows did prove to be a bit more difficult to work with, but again, that could potentially be my lack of experience with darker shades. I also do not tend to wear vibran colors, but Zodiac made me want to play with its shades, which are colorful but also wearable. If you have to get one palette from this collection, Zodiac and/or Posh are must-haves. Brunch at Kensington Cafe: Denim Jacket and Pink Heels! One of my 2019 resolutions is to explore more of San Diego and that's why when Kensington Cafe invited me to their restaurant I accepted without hesitation and I'm glad I did because I had an amazing and delicious brunch. I not only loved the cappuccino and delicious french toast, I enjoyed the ambience and everyone was super friendly. The cafe is conveniently located on Adams Avenue, a block away from the Kensington sign. I also took advantage of their beautiful location and invited my photographer friend to take my outfit photos. This year, another one of my resolutions is to post more outfit photos. To be honest, sometimes I do not feel as fashionable as other bloggers; however, this year I want to focus on being myself and upload photos and content without feeling pressured to be, or look, like the rest. What do you want to do differently this year? This post is sponsored by Amazon in partnership with Forward Influence. All opinions expressed here are 100% my own. We are days away from Christmas and even though some people prepare themselves ahead of time, I know that sometimes that is impossible. But, do not worry! 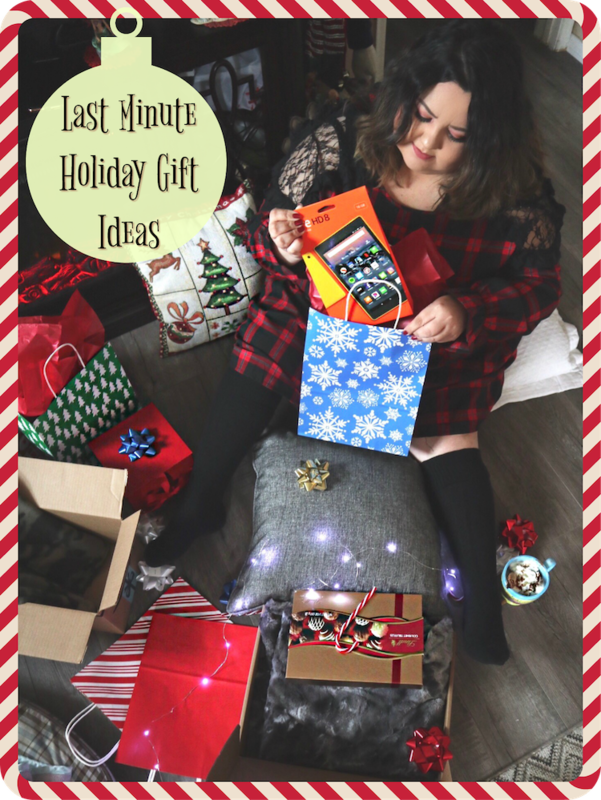 Today I’m sharing with you some last minute holiday gift ideas that you can buy on Amazon from the comfort of your home, without standing in long check-out lines, and without having to make time to go holiday gift shopping for those last minute gifts. Plus, during the holidays Amazon is offering free U.S. shipping on hundreds of items. So, take advantage! I personally love when my wallet benefits! Let’s start with the holiday gift guide! This post is sponsored by Dignity Health. A few years ago, the Affordable Care Act reform passed, and it required all American citizens and legal permanent residents to have medical coverage. Honestly, for several years I thought that it was an unnecessary expense. My parents and I would always wait until the last minute to re-enroll, and when we did we conducted very little research on the plans we chose. However, that will never happen again. This year, we became harshly aware of how crucial it is to take time to do our due diligence to research and find the best insurance policy for us. When my mom– the most important person in my life– became ill this year, we understood that the decision we took at the beginning of year during Open Enrollment was highly important. We learned that we really do have to do our research and find a plan that covers us for what’s expected, but also for the unexpected challenges that life throws at us. Open Enrollment began October 15, 2018 and it ends on January 15, 2019. So, if you haven’t yet enrolled, here are three tips that I hope will help you make this process less stressful. This post is in collaboration with Las Americas Premium Outlets. Las Americas Premium Outlets is one of the most visited shopping centers in San Diego, California. Throughout the year, thousands of people from all over the world come to visit due to its large selection of stores. At Las Americas Premium Outlets you can find over 125 outlets stores that offer designer brands at an amazing price. If you've ever visited an outlet center, then you know that it's common to find people carrying large suitcases while entering stores. This is because, both locals and tourists, visit these stores to take advantage of the great discounts they find. Now that Christmas is around the corner, I'm sure many of you are looking for ways to save money, and Las Americas Premium Outlets is the perfect place to find gifts for every person on your list. I'm sure your family members will love their gifts, and your wallet will definitely thank you for the savings! Today I will be sharing with you some tips to save even more money this holiday season while shopping at Las Americas Premium Outlets. Plus, I'll also share some of the great find I got during my visit. Wide Ankle Boots and Red Dress: Let the Holidays Begin! The shoes were provided for review by JustFab; however, all opinions are my own! If you from the #WideFeet club then you know how hard it can be to find boots, or even ankle boots, that fit! I'm sure many of you know that feeling of trying out a cute pair of boots only to find out they cannot zip up because they are not wide enough from the calf, or that they are not comfortable to wear because they are narrow from the bottom. I know that feeling and JustFab has us wide feet and wide calf girls covered! Now that it's getting cold outside, I wanted to try something new, ankle boots! I have to confess that I have NEVER owned a pair of ankle boots. Can you believe it? I have tried them on in stores but sometimes (most times) I would be afraid to pull the zipper up because they may grab my skin lol. 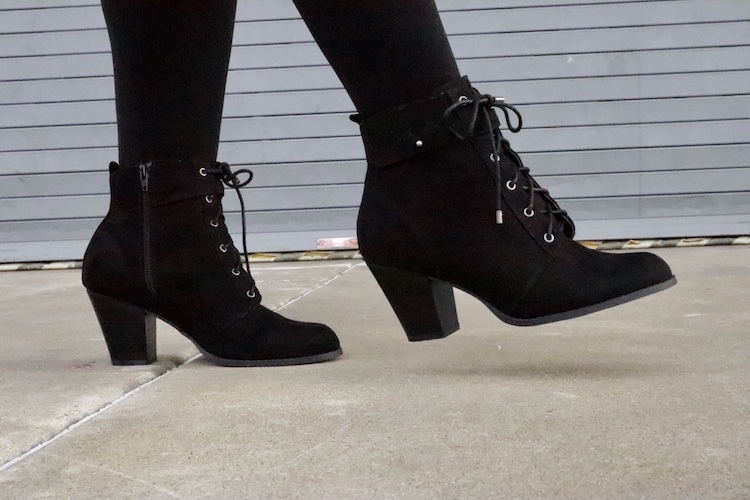 So, when I saw that JustFab had these ankle boots in wide, I knew I had to pick them. These are the Dolly Lace-Up Booties and I love them. They are comfortable, they zip, and they are only 3" tall, which makes them easy to wear any day! Here are some pictures of my recent outfit wearing these lovely boots!